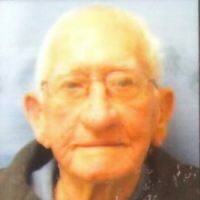 Cremation services for John Kirby Cato, 93 of Vian, Oklahoma will be under the direction of Agent Mallory Martin Funeral Service, Inc. He was born on January 6, 1926 in Joplin, Missouri to Merica S. (Stephens) Cato and Riley Cato and passed away on March 31, 2019 in Gore, Oklahoma. He was married to Delores E. “Lori” Jochum Cato on October 1953 in Joplin, Missouri. She preceded him in death on March 30, 1988. Mr. Cato was a U.S. Navy veteran of WWII and a retired accountant.